I'm sure most of you have heard of Rose Rose Shop (RRS). It took me over year to finally convince myself to buy something from them because of their higher shipping costs. Even though their product prices are often lower than other stores, the cost of shipping really detracts from their attractive prices. Anyhow, RRS had and currently still have a free shipping option for all Mizon items. You just have to pay $2.50 USD for a tracking number. I had previously tried a tube of the Mizon Blemish Mark-X and really liked it and saw that it was going for a very good price at RRS. I also really wanted to try the 8% AHA Peeling Serum, and off to RRS I went. It took around two weeks (10 working days) for my package to be shipped from payment, and a month to get my package from the day I paid. I emailed RRS one working week after I had placed my order to ask if they have received the payment. They were very polite in responding and said that they will give me extra samples for taking so long to process my payment... they didn't. 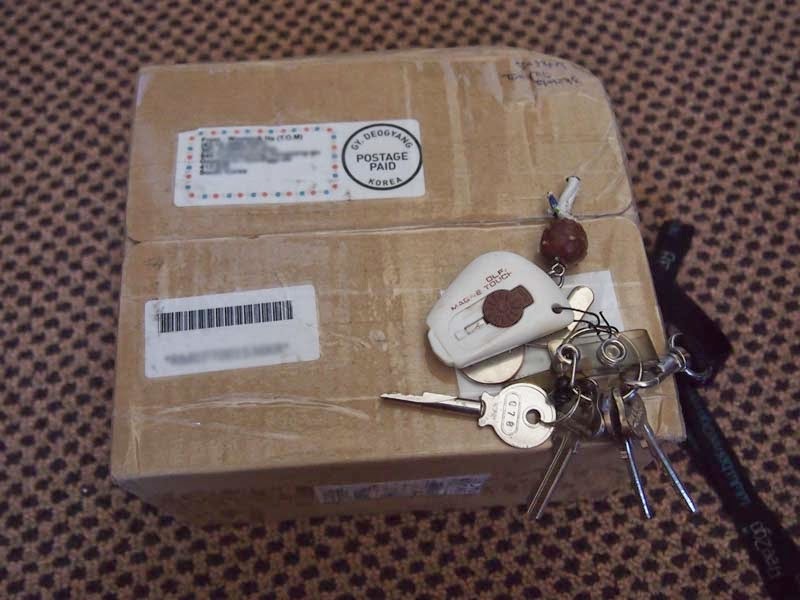 No fear if you live in a country that requires custom fees on packages... RRS marks your package to be $5. Everything was bubbled wrapped. 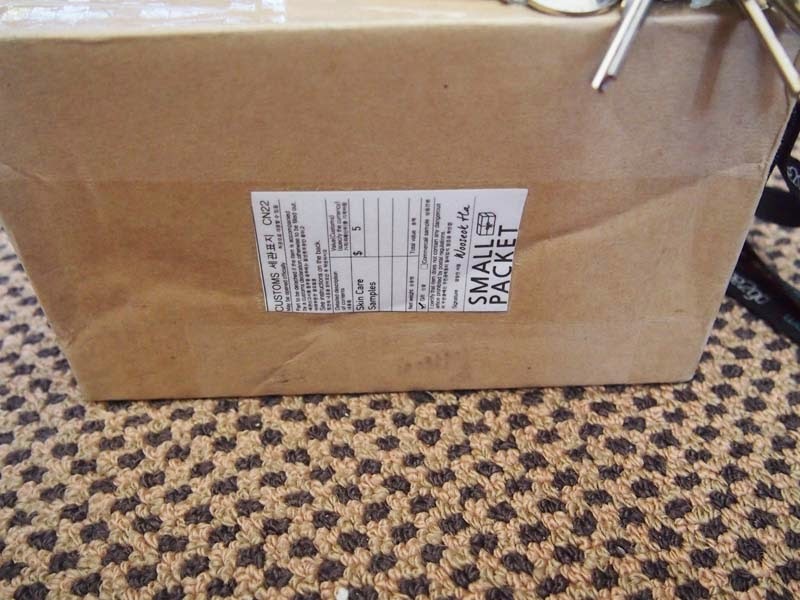 The box is a lot flimsier than the boxes I have received from other sellers, but I understand that this is because RRS explicitly states they use recycled boxes. Rather, you check a box which gives them permission to send you your goods in a recycled box. I used to work in a retail business who also does mail orders and ebay orders. We usually cut up boxes we get from manufacturers to send to customers. There were no promised extra free samples, but I was really happy that I finally got the products I wanted to try. Back in the days, RRS did not give out free samples with purchases-- you had to ask them through their website, email, or facebook for free samples. I'm glad there were free samples included without me asking. The policy has now changed to 5 foil samples or two bottle samples (hate these) if you spend less than $100. I've placed a second order with RRS for more Mizon items. The exchange rate is making me cry rivers. Will post up that haul when I get it ASAP. I've actually finished all the Mizon items I received in this October haul already. How did you like the Goodnight White Sleeping Mask? Like did it do anything in terms of whitening? I actually quite like it as a general moisturising sleeping mask. It didn't give me any noticeable 'whitening' effects, but contains ingredients such as niacinamide which help to brighten your skin over time. Perhaps. We only get taxed if goods are worth over $1000 so it doesn't really matter how much RRS declares the package is worth. However, I know in EU and other parts of Asia, customs tax is very high so the lower declaration is important! How do u made payment in rrs? Via Paypal! Please contact RRS on Facebook or via their website if you have problems with payment. 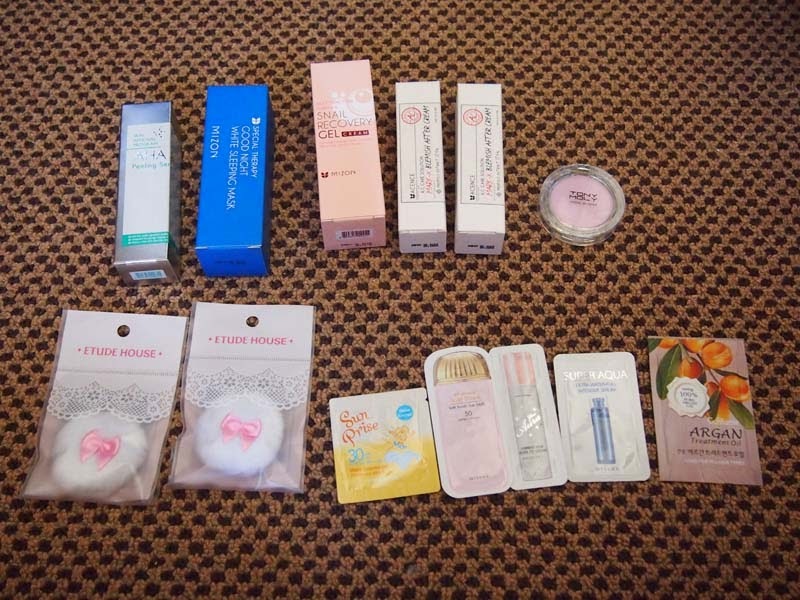 Do anyone open a beauty retail shop and order everything from roseroseshop? Sorry, I'm not really sure what you're asking:/ There are lots of other online stores like Rose Rose Shop you can order from such as Jolse, Testerkorea, BeautyNetKorea, ibuybeauti, W2Beauty etc. In terms of physical stores to buy similar things from, they vary country to country. Since RRS offers wholesale prices for bulk buying, I wouldn't be surprised if there are people who use RRS as a supplier.